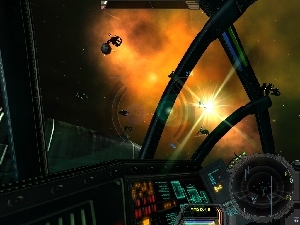 Abstract: X2: The Threat is a space-simulation that mixes fairly typical story driven missions with an extremely detailed and complex economic system, achieving a sort of pseudo-RPG effect. To start 2004 off with a bang, zap and kaboom! we decided to take a look at a game which many of our readers, even those that are into PC gaming, may not be familiar with; X2: The Threat. Published by Egosoft, X2: The Threat has not had anything like the hype accompanying several recent, underwhelming game releases (Max Payne 2 anyone?) and that's a pity, because the ambition of this game's design deserves attention. What is X2: The Threat about? 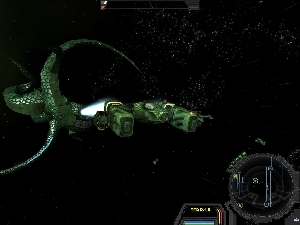 X2: The Threat is a space-simulation that mixes fairly typical story driven missions with an extremely detailed and complex economic system, achieving a sort of pseudo-RPG effect as players choose whether to follow the missions or branch of into one of the many entertaining career possibilities afforded by the free-form universe. In fact, the story mode itself is one of the weakest portions of the game, functioning better as a device to get players quickly up a few rungs on the game's economic ladder and teach essential game skills than as a gripping narrative. The synopsis is this. The player is a hard-bitten but skilled pilot who has lapsed into piracy and been apprehended. He is reprieved by mysterious benefactors who are in need of his piloting skill and blah blah blah. You get the idea. Fortunately the universe is considerably more captivating than the story. X2 space is comprised of over a hundred 'sectors' each containing a number of floating bases and factories. These sectors are divided between the six game races with some falling into unclaimed space. And there are a lot of things to do. The way the X2 universe is constructed, there are no practical limits on your movement. If you want to go the mercantile route, you can find a lucrative trading sector and do small runs until you have amassed enough cash to by a freighter and start hauling some serious cargo, eventually amassing your own trading fleet and the factories to supply them. You can take out a law-enforcement license and hunt pirates for fun and profit. You can BE the pirate, raiding and capturing freighters (ships can be disabled and boarded during combat) and amassing enough cash to buy a fleet of attack craft. Mining is an option, once you have the credit for the necessary equipment. In essence, the game can function as a sort of galactic sandbox for your imagination. Following the main mission does have rewards beyond the merely financial though, as despite the poor cut scenes, the plot twists and turns, many interesting battles are fought and some big (and unpleasant) surprises are revealed. 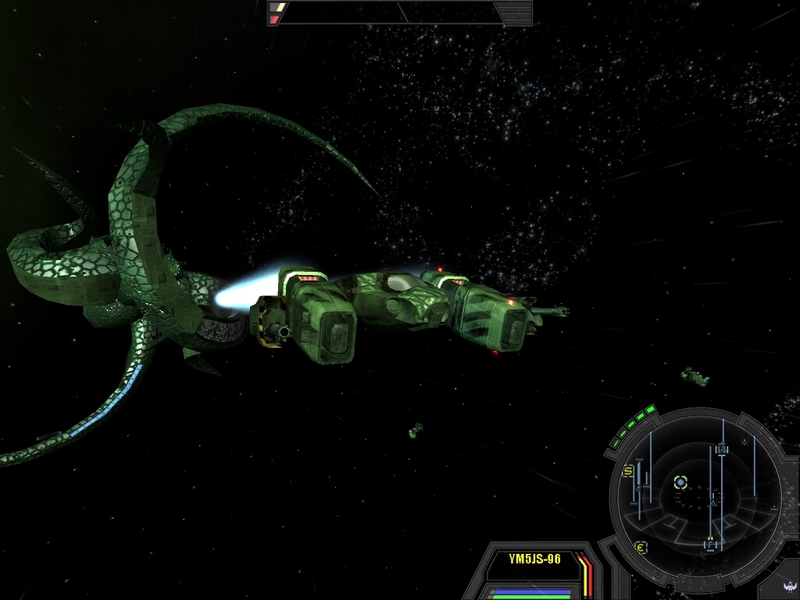 Following the story is also the fastest way to find yourself in command of a battle fleet of ships. Also, once you finish the main story arc, you are still just as free to explore the universe and trade as you were at the start of the game.